Get happy with your logo custom 4CP Printed on Square Mini Mint Tins. Applications are advertising, marketing, trade show giveaways, gifts. 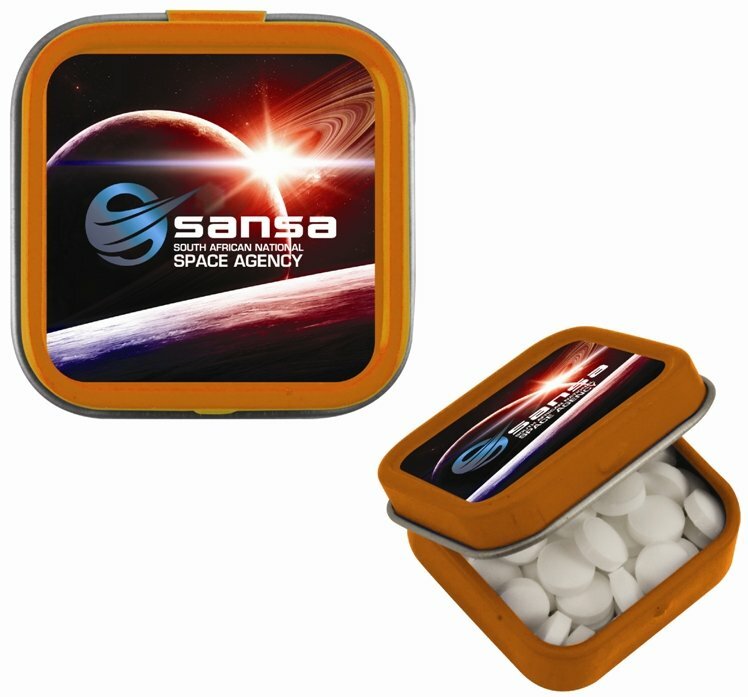 Features are metal hinged tin with a 1/4 oz sugar free mints. Flavors: Chocolate, Cinnamon, Wintergreen, Peppermint. Overall mint tin size is 1 1/4 w x 1 1/4 h x 1/2 thick. Price includes almost unlimited print colors in area 1 1/8" w x 1 1/8 h.